Elaine Turkington has been a long term resident of Georgetown. Her family arrived in 1954 and watched Georgetown grow from a small hamlet to a thriving community and a highly desireable area. 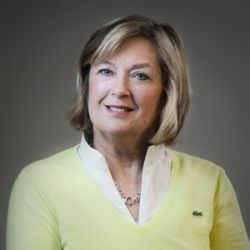 After completing her education Elaine was employed by major real estate developers in Toronto and surrounding areas managing, leasing and developing real estate including the Georgetown Market Place. She joined a major wireless Company in real estate and held a number of management positions over her tenure. Her corporate background provides Elaine with a strong business sense and excellent negotiation skills which in turn are key assets for assisting clients with buying and selling their homes. Returning to residential real estate in 1994 Elaine has enjoyed a successul career providing clients with a high level of professionalism, and experience along with her knowledge of the area gives clients the reliability, trust and understanding they are looking for. She has been recognized each year since 1994 by winning awards for consistent quality and performance. As well she has achieved many prestigious award for top performance,excellent service and personal attention and dedication to their profession. Elaine will help you every step of the way.